In a previous post I documented how I set up Seafile on a Raspberry Pi. To be honest, that guide wasn’t all that spectacular: I simply followed the official manual. To summarize: MySQL, nginx + SSL, Seafile. In this post I’ll show you how I’ve recently configured my Seafile installation to always have a perfectly valid and signed SSL/TLS-certificate that is accepted by all web browsers. And it’s free. To achieve this I’m using a certificate from the “Let’s Encrypt” CA. The kind people from the Internet Security Research Group, the public benefit corporation behind Let’s Encrypt, have developed a custom protocol, ACME, in order to automate the usually cumbersome domain ownership verification procedures. Even though the provided certificates are very short-lived (3 months validity), the resulting setup is actually much less maintenance-intensive than my previous (free) StartCom StartSSL certificates: I don’t have to keep track of expiry dates, manually create certificates and signing requests, and so on. 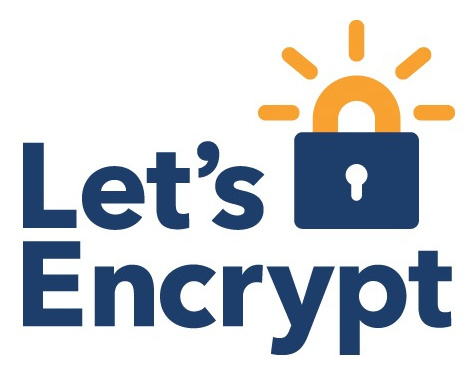 The whole premise of the Let’s Encrypt approach is to force the admin’s hands in automating certificate handling, all while providing the necessary tools. The “webroot” method of the letsencrypt client presents a minor inconvenience when used in conjunction with Seafile: it requires an active webroot... However, in our case, the nginx web server is used as a simple FastCGI-Proxy for Seafile, i.e. it simply forwards incoming requests to one of seafile’s daemons. Hence the need for a slight modification to nginx’s config. Using this directive all requests to the acme-challenge folder will be redirected to the certbot-webroot folder. Next step: reload nginx (sudo service nginx reload). Note that at no time we’ll have to truly shut down nginx. The first call to certbot instructs it to use the webroot plugin and create a certificate for the indicated domain. Certbot interactively asks for an e-mail address (for urgent notices and certificate revocation) and that’s about it! If everything works fine (check the program’s output! ), the newly created (and signed!) certificates should be stored in /etc/letsencrypt/live/seafile.example.org. 47 */12 * * * sleep 16; /path/to/certbot renew --quiet --post-hook "/usr/sbin/service nginx reload"
Please change the minutes number (47) and seconds number (16) to random integers between 0 and 59, in order to spread the load on the ACME-servers! Note (2016-08-10, certbot v0.8.1): Currently the command given to --post-hook is always executed even when no renewal attempt was made. This is a bug; it will be fixed in the next release. In the meantime you may reduce certbot’s frequency in crontab or use a simple wrapper script that checks the modification time of the certificate. Further debugging output can be found in /var/log/letsencrypt. I hope this write-up doesn’t contain too many errors. If you find any, please notify my in the comments. # take care of distributing the server load over 24 hours. certbot renew --quiet --post-hook "service nginx reload"